Transform your kitchen into a modern and functional space by installing the Nugleam 1180 Double Bowl kitchen sink offered by Everhard. Thanks to its clever design, it is available in right hand or left hand bowl configurations and can easily be installed in any kitchen. This stylish kitchen sink is sure to improve the aesthetics of any kitchen design. 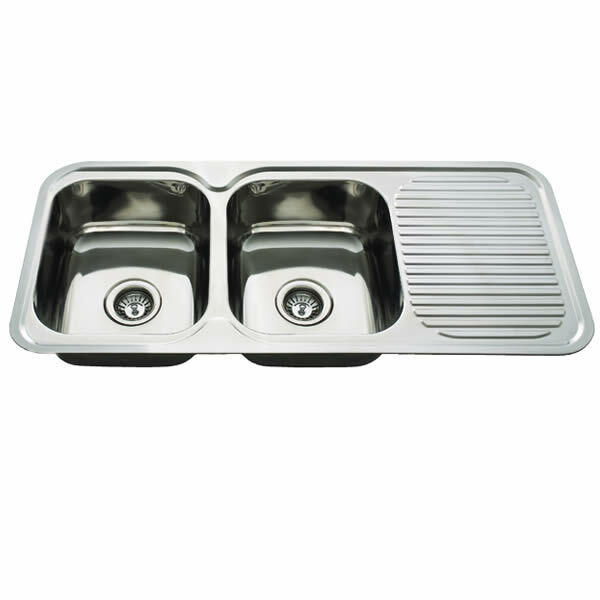 The Nugleam 1180 Double Bowl kitchen sink features two large bowls of 22L capacity and a drainer. Measureing 1180x480x180mm, it comes equipped with or without a tap hole and includes a chrome basket waste. 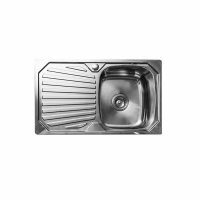 This kitchen sink is also ideal for integrating with garbage disposal units. Everhard is well known for manufacturing high-quality products and this also holds true for the Nugleam 1180 Double Bowl kitchen sink. Manufactured using top 304 grade stainless steel, it is designed to withstand years of heavy usage. Everhard also offers an impressive 25 year guarantee on the stainless steel bowls and a 1 year guarantee on all accessories, wastes and plugs. Rest assured – this is a great product which will offer you many years of service. 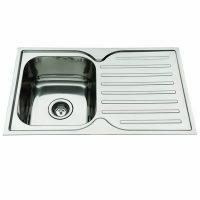 This Everhard kitchen sink will surly add a modern touch to your kitchen. 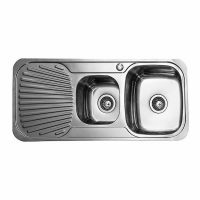 Buy the Nugleam 1180 Double Bowl kitchen sink from Ross’s Discount Home Centre today for the lowest possible price.